Posted on April 6, 2018 by Matthew Leib. This entry was posted in Faculty Friday, Spotlight and tagged Faculty Friday, Spotlight. Bookmark the permalink. Building Blocks: Storefront Studio on Mainstreet charts the grassroots evolution of a community outreach studio offered by the University of Washington College Built Environments. 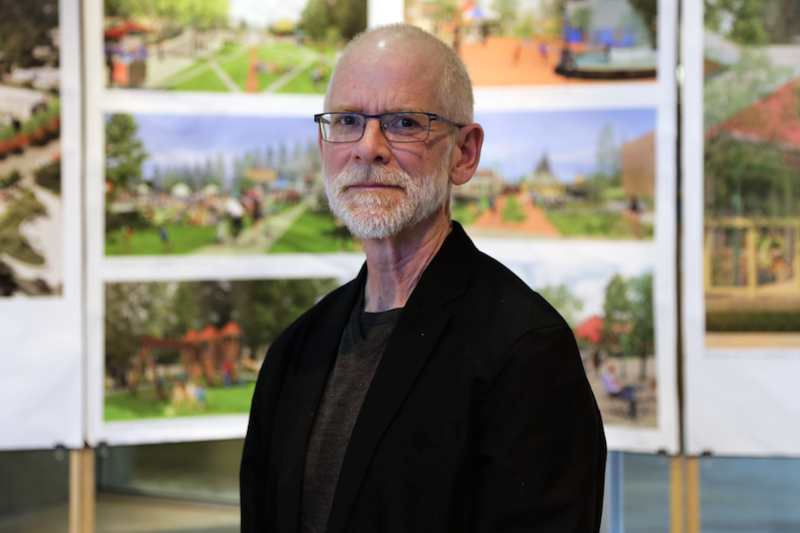 Since 2003, Director Jim Nicholls has been leading groups of architecture, landscape, and planning students to partner with local small towns to study their main streets. The exhibit and book documents the process followed and the results achieved. In it, a set of building blocks, or tools for community-engaged design, is illustrated with field-tested examples. The Storefront Studio is dedicated to investing the academic capital of the UW Department of Architecture in close partnership with the social capital of local communities. The goal is to strengthen the connections between the members of a community and their physical setting, providing anchors for authentic emergent identities, resilient economic growth, and inclusive social interaction. “The exhibit is open through May 4” — WHERE? As you enter Gould Hall. The article has been amended to make that more clear.